In the fall, my grade 8 class worked in groups to built and code Lego EV3 robots. As a culminating activity, the students designed a Robot Olympics. Each group designed a creative challenge, organized materials, and figured out how they were going to run and score the challenge. The Robots Olympics were a great success! 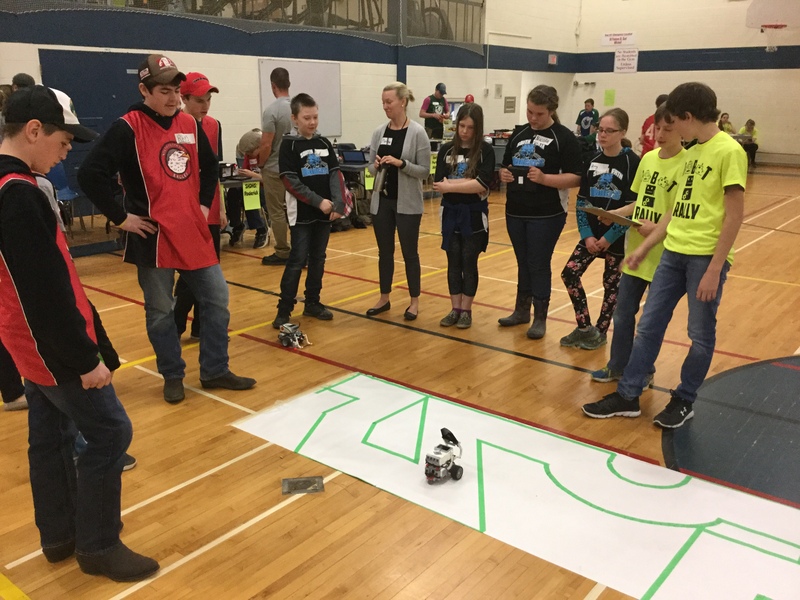 The students not only learned how to code a robot, but they also learned how to problem solve their part in running this event. 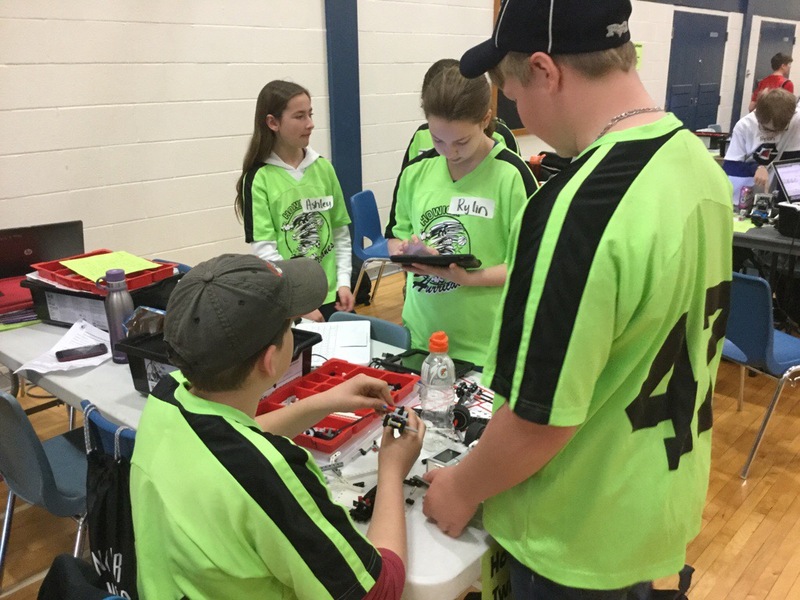 After the Robotics Olympics, several of my students continued working on coding the robots and attended D&D Automation’s Battle of the Bots. 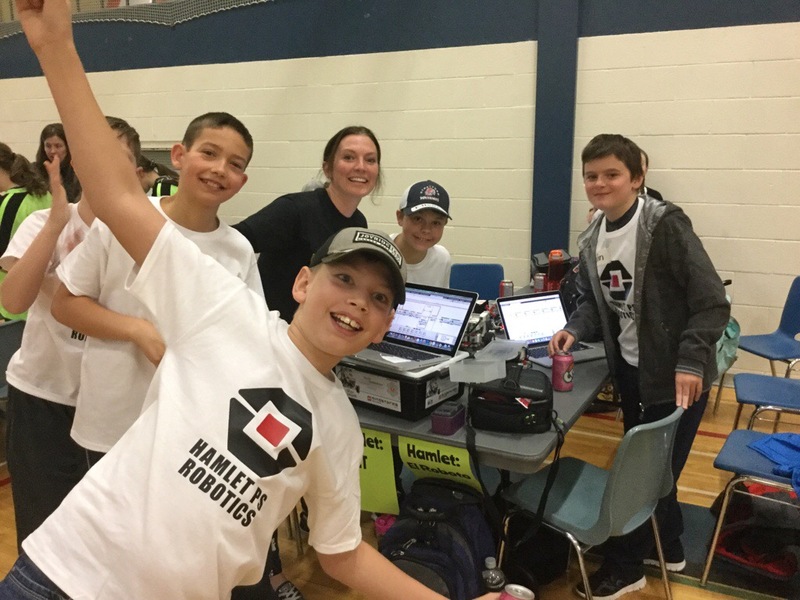 While at the event, my students thought that they would be able to run a robotics competition for other teams at our school. When we got back to school, the students went directly to the office to ask if this could happen, and happily, we were encouraged start planning! We introduced the idea to the rest of the class, and they were excited to get started. The class worked together to plan which events to include, what to call the event, and how to schedule the event. We started organizing by thinking about all the jobs that needed to be done to organize this event successfully, and students dove into organizing their part of the event. These jobs included making challenge boards, creating score charts, calculating how much pizza was needed, designing t-shirts, and making signs and posters. My class has been working all year to fundraise for the Right to Play PLAY programme, and they decided to sell treats at the Robot Rally, so this became part of the event organization. On the day of the event, several students arrived at school before 8am to set up the challenges, tables and chairs, and to hang directional posters around the school. When the teams arrived, they were greeted at the doors my my students and the rest of my class were at their stations and answered any questions. Two of my students were MCs for the event and the rest of the class judged the challenges, did the scorekeeping and answered questions at the information desk. Thanks to the planning done before the event, the Robot Rally ran very smoothly! Robots were following lines, going through a maze, identifying colours, and sumo wresting. It was exciting to see all the teams in their school jerseys excitedly showing off the results of all the coding they had done at school in preparation for the event. At the end of the Robot Rally, when all the teams left, my students returned to the classroom and were very proud of the event that they had coordinated. I don’t think they realized the magnitude of what they had just done! They didn’t just organize this event, they worked through all the issues and questions that came up at their stations and were completely engaged all day. My students even cleaned up and packed up at the end of the day without a lot of direction. 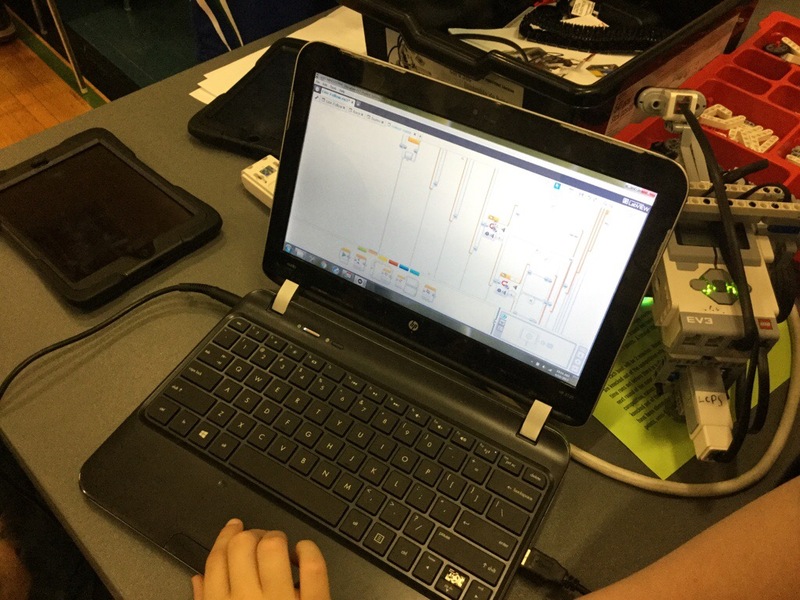 I am very proud of the students in my class for organizing an event that allowed so many students from all over our board the opportunity to work collaboratively on their coding and problem solving skills! Chasing the Evolution of Technology… Sink or Swim?